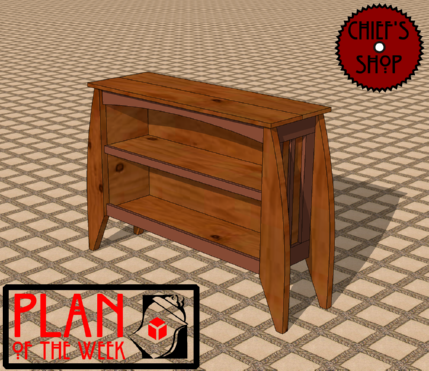 The Chief’s Shop Raised Bookcase gets some inspiration from Arts & Crafts/Mission styles. Differing from typical bookcase projects, the bottom shelf of this project has been lifted above floor level. The size of this project also lends itself to be used as sofa table.